Dark Web Browsers: Deep web or dark, whatever you may want to call it, is a hidden section of the World Wide Web. The websites in the dark web are yet unexplored and non-searchable on popular search engines worldwide. However, you can access the deep web using a specially developed dark web browser. In this article, I will share a list of best dark web browsers for deep web browsing anonymously. Well, before we proceed with the list, I want you to know what exactly a dark web is. There are many misconceptions and myths around the dark web and people often confuse it with something that it isn’t. If you think the entire internet is a massive network of billions of websites, domains, and applications, then it may surprise you that only 4% of the internet is public and accessible through search engines. The rest 96% of the web world is like the lower part of an iceberg which is there but hidden from the outer world. However, people confuse the dark web or the deep web as something that Google or other search engines can’t find. Partly right, but the fact is that the dark internet is beyond Google or other search applications. The main attraction of the dark web is its complete anonymity from the real world, and that’s what attracts some illegal activities too. Not only search engines, but even Govt. agencies can’t track them, and you can trade almost everything without any restrictions or a watch over you. As the digital world expands, the debate on privacy and data security is on the rise. That’s the reason behind the popularity of deep web or hidden web and the sudden increase in dark web browsers. Dark web is developing into a community of awesome people who have dedicated their life towards building a network where no organization, Government, or spy agency can breach anyone’s privacy. The deep web community comprises of lawyers, doctors, journalists, activists, CEOs, etc. While the name and the whole concept sounds anti-Government, accessing or browsing the deep web is entirely legal with TOR browser. Yes, there are tons of illegal activities too all over the deep network as it offers the same privacy and anonymity to the individuals involved in such rackets. Amidst all the negativity, there is a lot of positivity too. Anonymity is the primary reason why many individuals are making their way towards the hidden network and opting for dark web browsers to surf the internet. However, as much as anonymity aids in privacy, it also harbors criminal activities. It is the very reason why the reputation of the dark web is a bit spooky. Freedom of Speech is not universal, and most countries don’t consider it as a fundamental right of a citizen. While the United States and few other nations encourage freedom of speech, it is a distant dream for the citizens of several countries worldwide. Deep web browsing helps the citizens of such nations to hide their identity and allow them to express their opinion freely. Deep web browsing also eliminates any censorship of the country, and everything is accessible in the dark web without any restraint. Deep web or hidden web is also an excellent platform for doctors, scientists, researchers, and teachers to share their data without any restriction or censorship. You will find data related to the scientific findings that most Governments want to hide or content redefining some health or social beliefs on the dark web. Most importantly, you will find literature works which are available in their purest form in this hidden web. Knowledge is best delivered when it is not filtered. Dark web harbors all the literature works featuring different thinking or opinions. You can access information on the deep web which is not available even at schools or colleges. The deep web also aids leaders and political activists with their noble causes. In an oppressive Government structure, information is always manipulated and restricted. The administration often keeps a watch on every citizen’s activities on the internet and hinders any spread of revolutionary thoughts. The deep web is the best platform for people belonging to such nations with oppressive Government structure. The dark network offers a private and secure line of communication for the leaders to revolutionize and educate people about their fundamental rights. Most common internet browsers aren’t compatible to access the dark web. You need specialized deep web browsers to access the hidden side of the World Wide Web. To access the pages from the deep web, you need a browser that conceals user identities as well as restricts the tracking of any online activity. Most of these browsers will mask your IP address and ensure that nobody can track your deep web browsing history. So, without any further ado, let’s get on with the list. There’s no way to build a list of best dark web browsers without mentioning TOR Browser that actually opened the gates for deep web browsing. TOR is the first and exceptionally the most powerful deep web browser that started offering top notch security and anonymity before any other deep web browsers. TOR is way ahead of other competing browsers in this league. Despite being hacked by the FBI in 2014, TOR is still reigning and it is the undoubtedly the most popular dark web browsers on the internet. The 2014 FBI hack turned TOR more secure and helped it take care of all the loopholes as well as vulnerabilities that lead to the hack in the first place. However, people believe that TOR browser let’s you brows the dark web anonymously. Well, that’s not true. TOR simply jumps your internet browsing through multiple nodes to make your IP not easily traceable and secure but it doesn’t mask it. To mask your identity completely, you need a VPN Service alongside TOR browser. 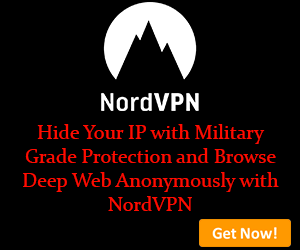 I personally use NordVPN when I browse dark web since NordVPN offers Onion Over VPN servers. The primary function of the browser is managed by volunteers spread across the globe who ensure that your internet traffic is bounced through a network of relays. It restricts someone from tracking your web history as well as disallows the websites to find your location. TOR browser is accessible from major operating systems such a Mac OS, Windows, and GNU/Linux. Here is how to use Tor to access deep web/dark web. Unlike TOR browser, I2P or Invisible Internet Project is a bundled package that offers a wide range of different services. The I2P program lets you access the web through a layered data stream to protect your identity. The connection through I2P is fully encrypted with both public and private keys. The browser uses TCP / UDP and IP data transfer protocols to protect your online activity and uses them to encrypt all the data and internet traffic. I2P builds a separate network to allow the users to access the internet. It helps I2P control the internet traffic and data and the second layer of the Internet remains hidden and private. The anonymous overlay network protects all the activity from being tracked by dragnet surveillance or ISP monitoring. The USP of I2P is the decentralized file storage system and distributed network database. It uses the “Darknet” technology. Remember, I2P is a growing network and it grows stronger day by day as the network expands. So, it is your best bet if you don’t want to opt for TOR right now. Whonix is a dark web browser built on TOR’s free software. Anonymity and privacy are the key factors to access deep web content and Whonix provides that via open and distributed relay network powered by TOR. TOR ensures that the connections are fool-proof and eliminates any DNS leaks whatsoever. The connections through TOR make Whonix so powerful that even malware with root privileges can’t track down the user’s real IP address. The best part about Whonix is that it’s not only a deep web browser but also a fully functional operating system where you can setup and manage your own server without getting traced. Many popular applications are already pre-configured and installed for immediate use. Whonix is the only operating system designed to run on a VM paired with TOR. One of the best highlights of Whonix is the “Data Stream Isolation” feature. Although it is paired with TOR, the chances of identity correlation are near to impossible as Whonix doesn’t utilize the same exit-relays and circuits by TOR. Here’s another open-source deep web browser based on TOR project. Subgraph OS is not really a standalone browser but a complete operating system just like Whonix. The main idea behind Subgraph OS is to provide a free, private, and secure environment for users to access the entire World Wide Web. Subgraph OS is built on different layers to help users with a streamlined access to the internet without hindering their privacy or compromising the security. The open-source platform uses Kernal Hardening, Filesystem encryption, and Metaproxy to build a hardening layer to their network. If that’s not enough, the program is further protected by container isolation. It sandboxes each instance that contains any malware before entering the network. Subgraph OS also features a custom-coded IM and Email client to eliminate other vulnerabilities as well. Some other added security layers include Package Security, Binary Integrity, etc. With so many secured layers to protect your online activity, Subgraph OS is definitely one of the best dark web browsers on the internet. Like every other dark web browsers mentioned above, TAILS also secures its connections using TOR network. TAILS, an acronym for The Amnesic Incognito Live System, is a live operating system designed to ensure privacy and anonymity to its users. You can access this network or OS using a USB stick or a DVD. The program uses the highly advanced cryptographic tools to add an encrypted layer to all the connections. These tools add a protective shield to all the files, emails, and instant messages sent or received by you. When you boot TAILS OS on your computer, your original OS is temporarily disabled to ensure security. Your computer gets back to normal when you shut down TAILS. The main highlight of TAILS is the fact that it doesn’t require any hard-disk storage or utilize your hard-disk space in any scenario. It only requires RAM power to run the program smoothly and even the virtual memory is neatly cleaned up with every boot or shutdown to ensure that nothing is left behind. Every connection runs via TOR’s distributed layer network and the connection is terminated whenever the connection tries to skip the TOR network. The program was initially created as a counter measure to prevent network surveillance and traffic analysis in order to stop Government to keep a watch on the activities of people and track their personal identities. Privacy and security on TAILS is brilliant as the program is equipped with some state-of-the-art cryptographic tools which not only protect your privacy but also the USB drive as well. In short, TAILS is one of the best deep web browsers after TOR. It is simple to use and offers all the need security and privacy for dark web browsing. Well, that’s it. Most dark web browsers provided data encryption and distributed layered protection via TOR network. Hence, TOR browser is the ultimate pick when it comes to deep web browsing. However, you can check out the other best deep web browsers on the list for added features and accessibility. Let us know what are your views on privacy and security on the internet in the comments section below. Also, don’t forget to mention the dark web browser you prefer if you are using any. We would like to know!